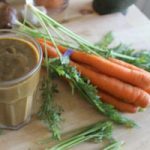 Have you ever tried green smoothie recipes with cinnamon in them before? 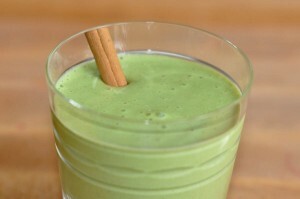 I have, but it has been a long time since I had a great smoothie with cinnamon in it. 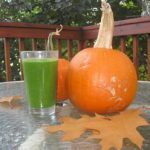 With the holidays quickly approaching, I think this green smoothie recipe will make a festive addition to your diet. 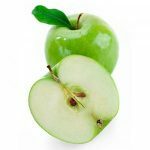 These green smoothie recipes incorporate a refreshing blend of apples, bananas, cinnamon, and romaine lettuce. The bananas give the smoothie the thick, creamy consistency of a milkshake, and with the natural sweetness of the apples and bananas, plus the spiciness of the cinnamon, you won’t even notice the taste of the lettuce. Cinnamon can reduce the growth of leukemia and lymphoma cancer cells. 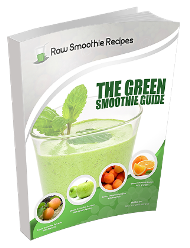 Each of these ingredients should be added to your blender one at a time and blended together until smooth. 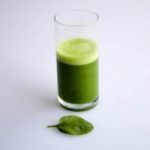 The recipe makes about 3-4 cups of smoothie, and whatever you do not drink right away can easily be stored in your fridge to consume later. 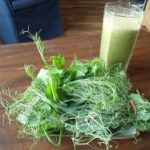 It takes less than 5 minutes to make, but the health benefits that these green smoothie have to offer will last you throughout the entire day!